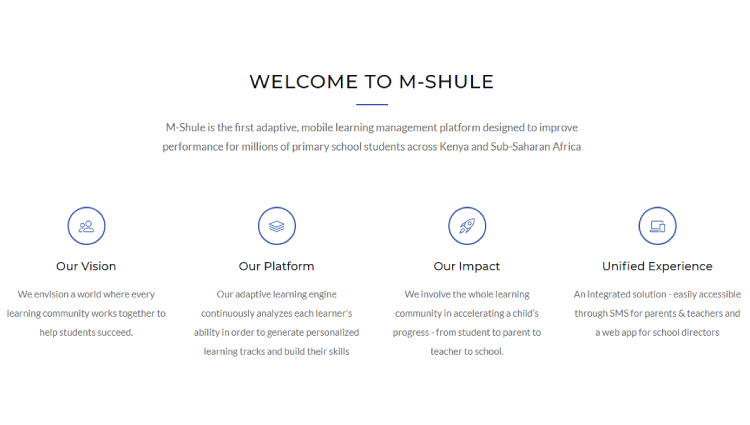 M-Shule is the first adaptive, mobile learning platform in Africa connecting primary school students to personalized education. 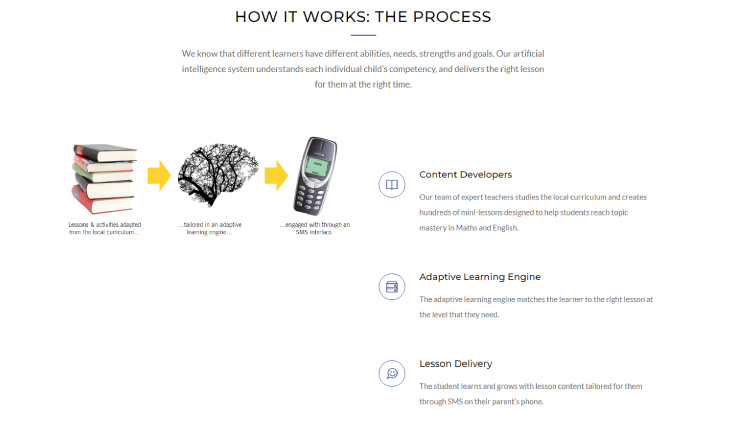 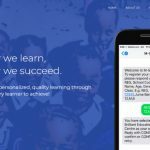 Meaning “mobile school” in Swahili, M-Shule’s platform uses artificial intelligence to deliver personalized learning support in math and English via SMS and chatbots, building students’ concept mastery, exam performance, and confidence. 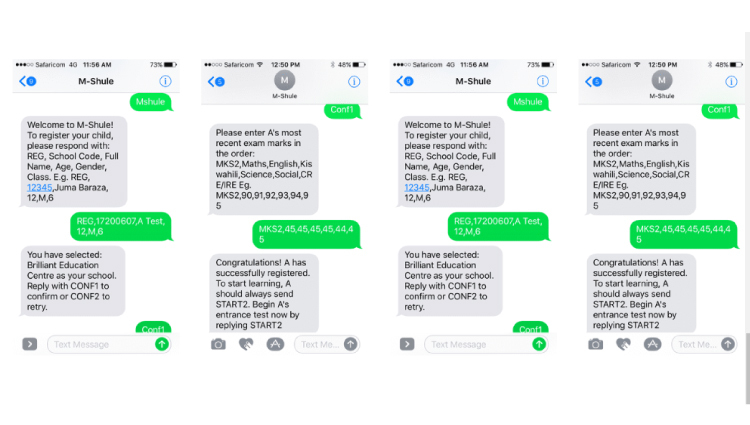 M-Shule then shares data and insights with parents, schools, and organizations to power better instruction and collaboration, delivering high quality learning for each child.